Ask almost anyone on the street in Rochester if bringing back the Fast Ferry is a good idea and they will likely suggest resurrecting the Titantic or Hindenburg instead. It is considered by most Rochesterians to be the single worst case of failed city government planning in the last 50 years. In fact, to this day, every major decision involving public tax dollars is measured against the possibility that it could end up like the Fast Ferry: overly ambitious, financially unsustainable, maddeningly unrealistic, and pathetically dysfunctional. But what if bringing back a fast ferry system is actually one of the best things Rochester can do right now? Purchase two smaller boats instead of one massive vessel. One boat can serve as a backup in case there is a malfunction with the first one. That way the trip is consistent and reliable with weather considerations included. Get rid of cars. A pedestrian only ride is better for everyone. For starters, the time going through custody is diminished substantially. And of course Toronto has a world class public transportation system. Why drive around when you can get everywhere you need to go on bus or subway? Rethink how you are selling this vision. This is not about people from Toronto coming to Rochester. That was always an absurd premise. This is about people from Western New York, Central New York, the Southern Tier, the North Country, and even the Capital Region wanting a sensible and fun way to go to Toronto, which is indisputably an international hub of cultural diversity and recreation. Needless to say, people from all over the world want to visit Toronto’s museums, parks, restaurants, shops, and neighborhoods. Why wouldn’t they want to come from places such as Albany and Syracuse to use Rochester as a point of departure? Get rid of the distractions on the ship. People will take the voyage across Lake Ontario because it is a voyage across a Great Lake. The scenery and experience is the selling point. There is no need for movies, casino slot machines, spas, bounce houses, and all of that gratuitous stuff. A bar and restaurant is fine. Other than that, sell the open water, the sunsets, the wildlife, the breeze on the deck, and the approaching skyline of Toronto. Schedule the RTS, Uber rides, taxies, and other shuttle services to correspond with the departure and arrival times of the ferry. This is not rocket science, but it is a practical solution that can actually make using the ferry a pleasant experience rather than a logistical quagmire. What is more, keep tickets at or under $50 each way. $100 is still competitive with Greyhound and offers a much more exciting travel experience. Make children under 8 free and entice travelers to want to use the ferry more than just once a year. Don’t worry about revenue. There will be money from tickets, merchandise, drinks, tours, and possibly shipping of goods. Think outside of the box. There is also money to be made through academic pursuits such as semester on the lake courses, study across the lake internships, cultural immersion programs, and government funded scientific research and development. Between 1915 and 1950, the Ontario I and II carried cars and passengers to Cobourg, Ontario, directly across Lake Ontario from Rochester, rather than making the longer trip northwest to Toronto. ONTARIO NO 1 manoeuvres in Cobourg harbour while ONTARIO NO 2 lies at the wharf in this James M. Kidd photo. Notice the absence of a seagate. Rochester is not the same city that it was in 2004. The Rochester that is surging now actually boasts several attractions that would inspire someone from Toronto and other Canadian towns to come here for more than just a day. To name a select few: The Strong Museum of Play, the George Eastman Museum, the International Jazz Festival, The Lilac Festival, the Fringe Festival, the Finger Lakes wineries (recently voted by USA Today as America’s best wine region), the High and Lower Falls, Letchworth State Park (“Grand Canyon of the East”), numerous Frederick Law Olmsted parks, buildings by Frank Lloyd Wright, I.M. Pei, and Louis Khan, a tour of famous abolitionism sites including Susan B. Anthony’s home, Frederick Douglass’ North Star printing press and burial site, Harriet Tubman’s house, and several stations on the Underground Railroad, and a vibrant, up and coming food and drink scene including restaurants such as Fiorella, Lento, Good Luck, and many reputable breweries and cider houses. 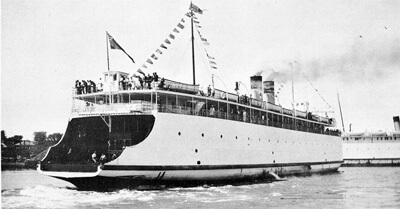 The SS Kingston, a 50-year-old sidewheeler, made its last run to Toronto in September 1949. Beginning in 1929, car ferries took pasengers to Canada. The ferries stopped running in the spring of 1950. Although many of these attractions were here in 2004, this is not the same city. This is a city going through a dynamic revision and reinvention process. This is a city (and region) worth coming to, even if the place you are leaving happens to be Toronto. But at the end of the day, a fast ferry is the best way to get to Toronto from anywhere in Western and Central New York. Airfare is unreasonably expensive from that distance tickets hover around $500 even during the non peak season). Greyhound is comparable in price, but who wouldn’t want to take a boat with a bar and restaurant for 2 hours instead of a Greyhound bus? Driving yourself is the least expensive in terms of gas and service fees, but that can be mentally and physically taxing. So why not try the ferry idea again? With better planning, marketing, and execution, there is no reason why it could not be a successful business venture for both the private and public sectors. What is needed is a willingness to let go of the past and a determination to look boldly into the future. A fast ferry is not a cancer that one gets rid of and never wants to see again. Every other city in America would explore ways to make a ferry work if they were in our position. So what if it failed the first two times. Did Edison stop trying to create a light bulb after two times? Does NASA quit after an engine collapses a couple of times? Did the Internet come to be after two experiments with routing did not result in global connectivity? Did a Major League baseball pitcher learn to throw a good curve ball after two attempts when he was 13? Were the Pyramids built with two slabs of stone? 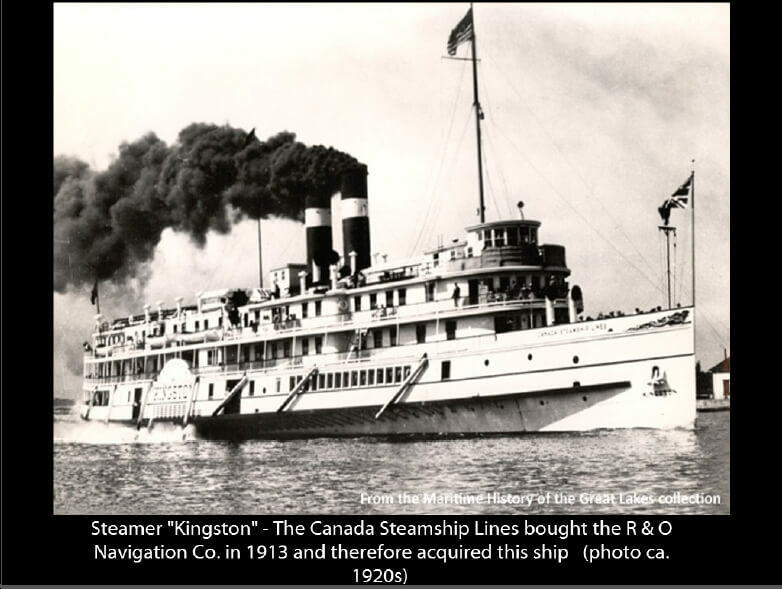 The Alexandria ran the St. Lawrence rapids to go from Charlotte down the river to Quebec between 1909 and 1912. 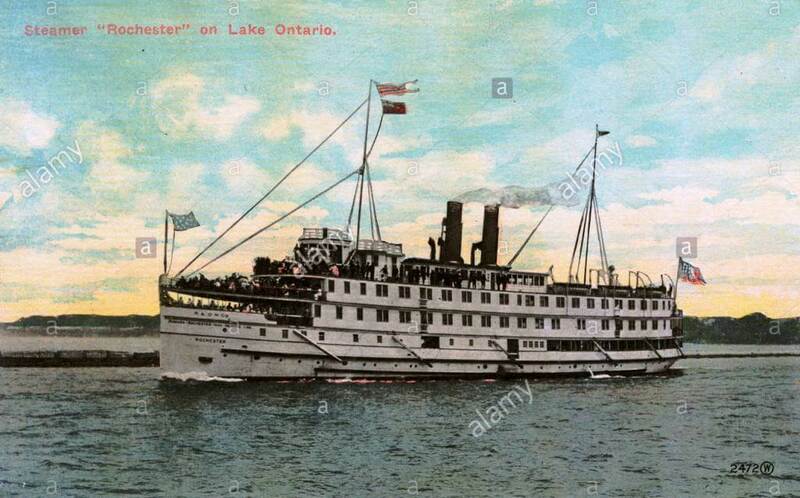 In August 1915, while en route to Toronto, The Alexandria was destroyed in a tempestuous gale. Because the steamboat was never properly salvaged, its hull can still be seen today. We can’t let the sinking of the Alexandria deter us! One final thought. The city under Mayor Robert Duffy was able to recuperate almost 30 million dollars from the sale of the ship. In the end, after all of the miscalculation, administrative foolishness and tangible heartache, it wasn’t nearly as bad for tax payers as most people think. In other words, the capital is still there to try this idea once again. There is a still a way to try this. The people are different. The energy in the city is different. The investors and the incentives are different. The time is different. The time is now. EDITORS NOTE: If the Ferry resumes and there is increased interaction between Canada and Rochester, I can resume my dream to open a Canadian cuisine restaurant in Rochester called Canada, Oh!. 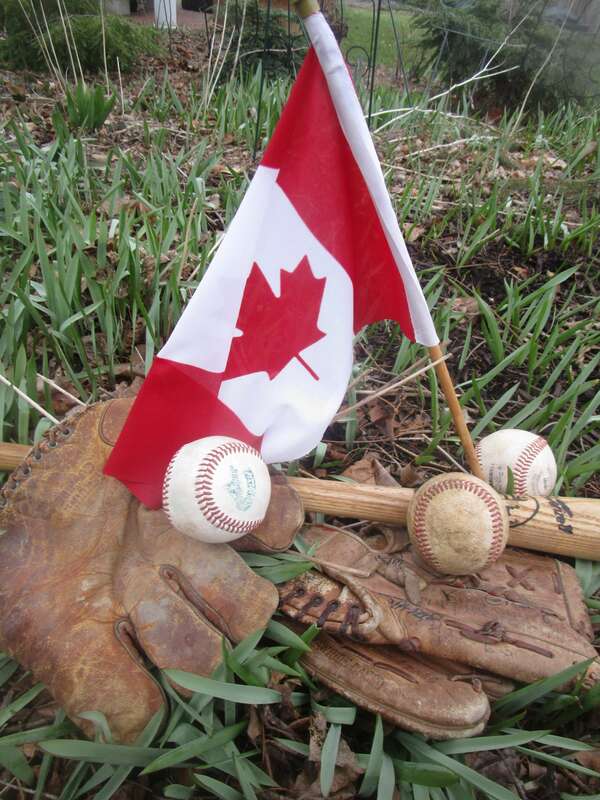 After consulting with a chef at a Canadian culinary school, I learned there are three distinct Canadian styles. In southern Ontario, it’s British: wild wheat, bacon and strawberries. In Quebec, it’s French Canadian with an emphasis on crêpes. In the Territories, it’s aboriginal, i.e. freshly killed game only lightly seasoned. At Canada, Oh, you can have strong coffee and Canadian bacon for breakfast; pastry and Pouilly-Fuissé at lunch; and caribou cooked by fire at dinner. 1) Travel time. CATS and Bill Johnson never admitted that total travel time between Rochester and Toronto by “fast” ferry was actually significantly longer (and far more expensive) than driving by car. Seems clear that they understood the fact however, and the really boring lack of scenery along the way, and tried to compensate with onboard entertainment. Your call to eliminate such entertainment would result in bored passengers and lost revenue. 2) eliminating a car ferry might have some justification for those traveling to Toronto (I’d point out however that the powers-that-be in Toronto relegated their shanty terminal to an out-of-the-way location distant from mass transit stops), but what do those traveling to Rochester do when they arrive in Charlotte sans a car? Buses and Uber/Lyft are fine in a pinch, but do you REALLY see them as adequate for handling significant number of tourists, if indeed significant numbers were to show up? Or that those Canadian tourists will come if they have to depend on such forms of transportation? 3) most, if not all, of the Rochester attractions you listed as reasons for Canadian tourists to travel here were on the 2004 list as well. And still the tourists failed to show. I simply do not agree that there are any more reason for tourists to come here than there were 15 years ago. passengers who would spend $92,000,000 on this area. I never took the boat project seriously after I read that bilge. Michael, thank you for taking time to write this feedback. I always value your insight. I need to provide a rebuttal to some of your points. First, you are assuming that people will be bored on the ship. I do not think that assumption is based in empirical research or observation. It is an assumption. My assumption is that Rochester can find ways to so place and target marketing where they will attract clients and passengers who will not be bored by a boat ride across Lake Ontario. They are artist and creative types; these are ecologically minded people who enjoy the outdoors; these are families who know how to entertain themselves without movies and cheap tricks. Regarding Rochester’s increased status as a city, there was no International Jazz Fest of this caliber in 2004. There was no Fringe Festival. And the Finger Lakes wineries were nowhere near as popular as they are now. If I am coming from Toronto to visit the Finger Lakes, I do not want a car. I want to be shuttled around. It is not my role to offer a business plan. I am only suggesting that one can be made that makes sense. The only thing that prevents it from working are fatalists, cynics, naysayers, and those who doubt that Rochester can do anything big and important. I am not suggesting that is you, but your comments are rooted in complacent doubt rather than creative hope. Thanks George, even in the Trump error…I mean era, I seldom get to see so many examples and variations of fallacious arguments slapped together into one submission. My favorite is your less-than-subtle ad hominem attack on me and my views (your disclaimer was not meant to be taken seriously, so I didn’t), when you stated that only “ fatalists, cynics, naysayers” can stop your ferry proposal from being successful. Actually, your attack also has a hint of the good old argumentum ad ignorantiam in that you imply that those who oppose your opinion must be doing so from ignorance. Next we have your classic hasty generalization claim, “If I am coming from Toronto to visit the Finger Lakes, I do not want a car. I want to be shuttled around”, from which you want us to conclude that there must be large numbers of Canadians who feel the same. But of course, in the absence of a business case (something neither the backers of the original ferry or you seem interested in), your proposal for a renewed ferry is based on nothing more substantial then begging the question, with a smattering of a bandwagon fallacy, which combined assumes as a fact that there are sufficient attractions in the Rochester area to lure significant numbers of Canadians without cars to sail here year after year after year and hire some form of transportation once they reach Charlotte. Michael, I would not categorize my response as an “attack.” If that is how you felt then I accept responsibility and offer my apology. Nor do I believe that your opposition is based in ignorance. I started off by stating how much I appreciate your point of view. I am wondering if you slid that in there just so you could build upon your theme and introduce the “good old argumentum ad ignorantium.” I am wondering the same thing about your ad hominem charge. To insinuate that someone is a cynic or naysayer is not always a character insult. Sometimes it is just a description of a person’s attitude towards a set of ideas. I am actually quite enamored with the philosophical tradition of the Cynics. Your cynicism has much to admire about it, but it is also an attitude that may prevent people from thinking openly, creatively, and optimistically about a new ferry project. Did I just commit the slippery slope fallacy? Oh well, I do thank you for participating because we will need the voice of cynics in this conversation. I am willing to concede that I committed the fallacy of inserting a straw man. Thank you for pointing out my error. Hopefully it will prevent me from doing so again in the future. Your point about hasty generalization is also warranted. I do not know what Canadians want. I cannot extrapolate from my experience and guarantee that it crosses over the border (or anywhere else for that matter). I suppose I may be committing another fallacy of argumentation, which sometimes happens when one chooses to employ-as a blueprint for innovation and exploration- commonsense speculation instead of socially constructed linguistic rules. You are right to say that it is merely a subjective assumption of mine, but I believe that with the proper target marketing and research development, Rochester can identify a large population of Canadians who want to spend time in the western New York area without the burden of driving. It will take a hugely coordinated effort to provide safe, fun, and reliable public and private transportation. But just because it is difficult does not mean that it is impossible. Clearly such a system will need to be explained in a well thought out business plan. Did I ever suggest otherwise? What philosophical rule of argumentation did you violate when you made the claim that I do not believe a business plan is important? The classic “red herring” comes to mind. Just because I did not draw up a plan in this blog (or my D&C article) does not mean that I do not think it is valuable. Naturally there will need to be a business plan. The whole point of my article is to challenge people to make one.